This year's inductees into the NRA's honored crew of industry game-changers, the Golden Ring of Freedom, has one new invited member from Springfield Armory®'s own leadership team. 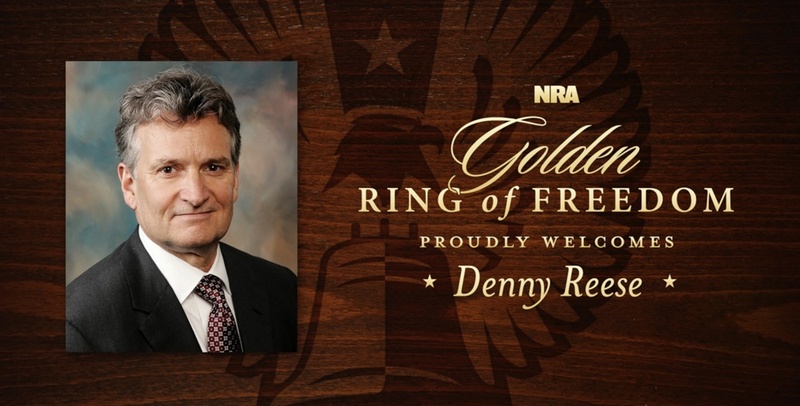 Congratulations to Springfield CEO Denny Reese on his inclusion on the NRA's honoree list for 2016. It's been a while since Denny and his father visited Springfield Armory® in Texas in 1974. But after mortgaging the family property and risking everything they had, as owner and CEO, Denny has helped to grow the company from a single M1A™ rifle operation to the internationally recognized firearm manufacturer it is today. Denny has come a long way from the virtually one-man operation Springfield was in the beginning of his time owning the company - building guns, writing the advertisements, packing and sending shipments - to assembling the team he has in his corner today. We're proud to call Denny our fearless leader here at Springfield Armory - it's a well-deserved honor for a man we all look up to as a boss and a mentor and another example of how Denny and Springfield alike are working toward defending a legacy.